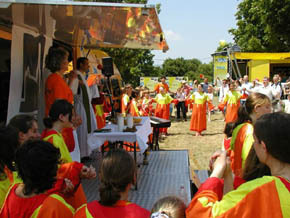 On the outskirts of Vienna, a priest says a trailer-Mass for picnickers, above. 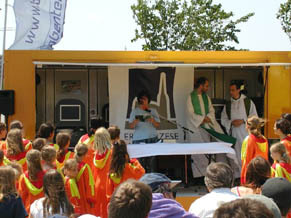 The Mass was promoted by Key2Life, the youth movement of the Archdiocese of Vienna. 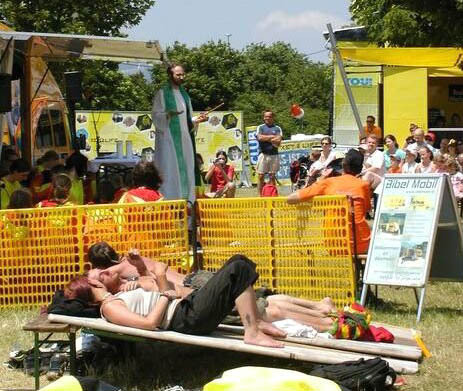 It is not certain whether the two barechested men and the young woman resting next to them in the foreground of the photo are attendees of the Mass or were very close neighbors taking some sun. In any case, it shows how permissive regarding revolutionary customs and how disrespectful of the Mass the Austrian clergy has become. Below first row, two close-ups of a more crowded Mass that same day. Behind the woman reading the Epistle one notes the logo of the Archdiocese of Vienna. 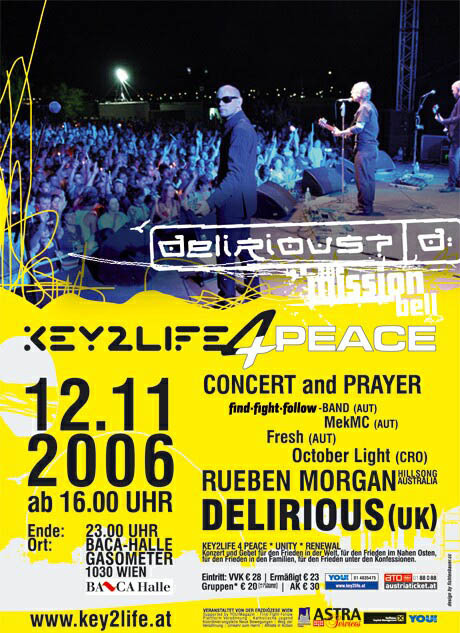 promoted by Key2Life on November 12, 2006.